White House counterterrorism advisor Sebastian Gorka has been the subject of severe criticism in recent months. With the departure of Steve Bannon from the administration, many are calling for Gorka to be fired next. A recent piece in Rolling Stone questioned the validity of his Ph.D. and labeled him something of a neophyte and an extremist. The Forward tied Gorka to a right-wing Hungarian secret society called Vitezi Rend. These stories make for great political attacks, but are they valid? And, perhaps more importantly, setting aside all of the charges against him, are Gorka's views on terrorism and how our nation should combat it prudent? First, let's examine the accusations on anti-Semitism and secret societies. Gorka, on the record, has denied being a member of the Vitezi Rend. He was also called an anti-Semite, and a video used to incriminate him was conveniently edited to remove his condemnation of the world's oldest hatred. Still, he's gone on the record and denied this allegation, too. There's no evidence that Gorka has ever expressed anti-Semitic views. There isn't any reliable evidence that Gorka has ever expressed the extremist views he's accused of holding or been a member of a secret society. The questions raised about Gorka's qualifications seem suspect as well. He earned a Ph.D. from Corvinus University. Whatever the quality of that pedigree, it was sufficient to land Gorka a position as an adjunct faculty member at Georgetown University and positions with a host of other respected institutions like the Marine Corps University Foundation and the Council for Emerging National Security Affairs (CENSA). Ben Rhodes, a senior national security advisor during the Obama administration, had shockingly thin qualifications for the job. 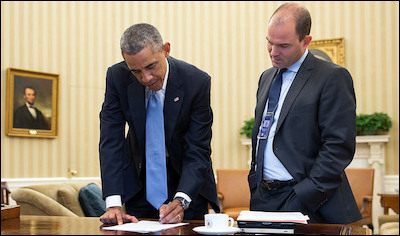 Even if his credentials have been inflated, it's worth remembering that the previous White House relied on Ben Rhodes for international security counsel, and his background was shockingly thin, focused mostly on creative writing. Gorka's worldview, similarly questioned, is perhaps the most important piece of this puzzle. He has written forcefully about the threats Islamists pose to the West and devoted his career to understanding the nature of these threats, while working to raise alarm bells about the despicable ideology that has been gaining popularity throughout the Muslim world. He's been right to do so. Gorka's influence can be felt at all levels of this administration. In his inaugural address, President Trump promised to "eradicate the Islamic State." He didn't say degrade, manage, or contain. He said eradicate. That's important. So is the Trump administration's willingness to name the threat facing our people – radical Islamism. This represents a welcome change after eight years of leading from behind and "strategic patience" that got us nowhere. While the Obama administration dithered as the Arab-Islamic world erupted into conflagration, Gorka reminds us that ignoring our enemies as they rise to power is just as dangerous as disengagement from our friends as they fall from it. I met with Gorka recently at the White House and he mentioned how the struggle against communism, wherein his father was tortured by the authorities, was akin to the battle against modern day Islamism. Inspired by his father, he's fighting this generation's ideological struggle. Gorka has a solid grasp of the ideology that threatens our safety and security. 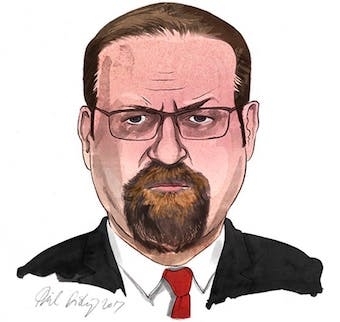 A dispassionate review of Gorka's background and work indicates that he is simply a right-wing Hungarian. Hungary has produced its fair share of racists and anti-Semites, but there's absolutely no reason to believe Gorka is one of them. His credentials are no less impressive than others who have served the White House in similar capacities. Importantly, in order to win the war against radical Islamism, we must develop a thorough understanding of its ideology. Gorka has a solid grasp of that ideology, and all of us in the United States should be thankful that he is lending his expertise to advance our safety and security. Attacks on Gorka's character do nothing to make our nation safer. His work on combatting radical Islamists most likely will.